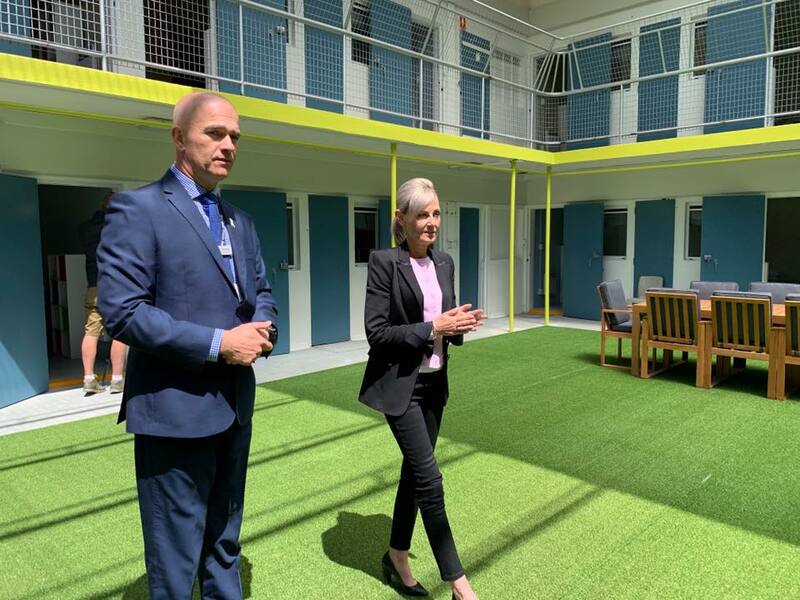 As Minister for Corrections, I was pleased to officially open our new $1.35 million, 40-bed facility at the Ron Barwick Minimum Security Prison at the Risdon Prison Complex, further delivering on our Plan to keep Tasmanians safe. Nine Tasmanian companies were contracted to complete the work, alongside a small number of inmates who were involved in the demolition of old infrastructure, steel fabrication and painting the new facility. The redeveloped unit will include housing for inmates with a disability and aged inmates, and includes a wheelchair lift for disabled access. This upgrade was necessary due to very tired infrastructure and my desire to provide better rehabilitation prospects, to help get the lives of prisoners back on track so they are no longer a threat to community safety.